Again we were in the 16th Arrondissement of Paris at the Jardins du Trocadero and admiring the Palais de Chaillot, when we too these high definition photos showing a bas relief called Flora, which was sculpted by Hubert Yencesse. 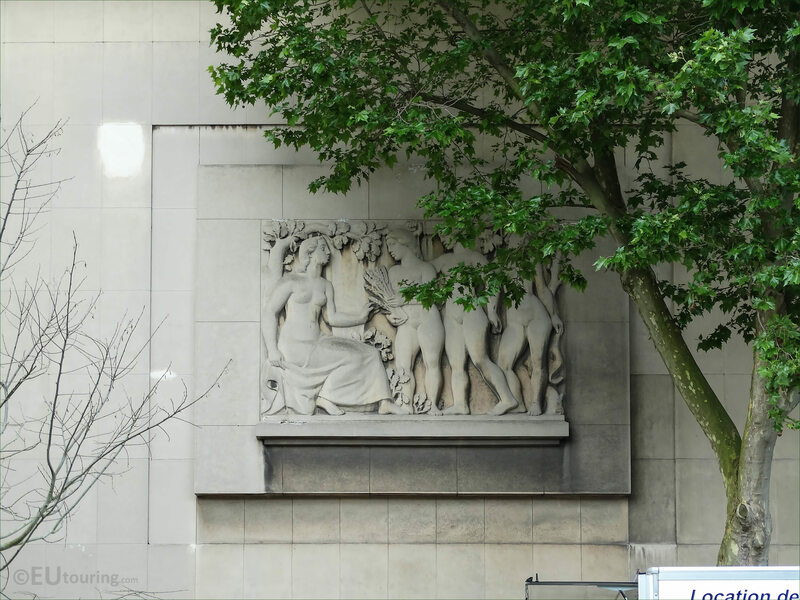 Located on the wings of the Palais de Chaillot, which was constructed for the 1937 Universal Exhibition in Paris, you will find several different bas relief sculptures that were executed by different artists. This particular bas relief is located on the westerly wing of the Palais de Chaillot, and according to some sources was named Flora, but if you look very carefully, in the bottom left hand corner of this stone sculpture, you will see that it has been inscribed with the name of the artist, Hubert Yencesse. 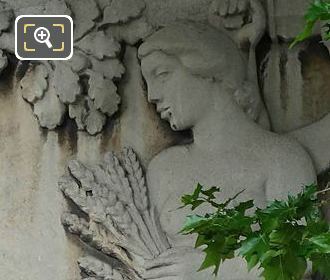 However, when you look at this close up photograph, you can see females offering a sheaf of wheat or corn to another female figure that is partially clothed and sitting, and in Roman mythology this would be Ceres who was the Goddess of Agriculture, rather than Flora the Goddess of Flowers and Spring. 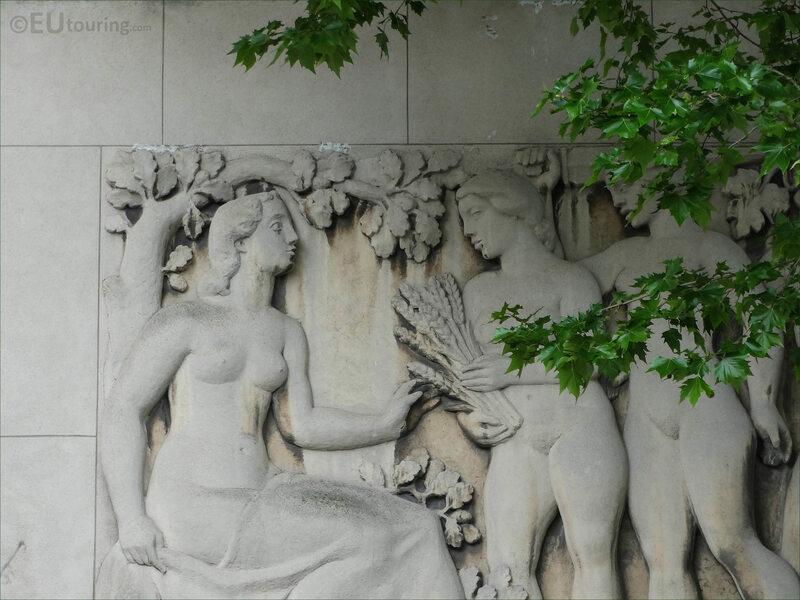 In fact, Ceres, the Goddess of Agriculture was also recognised for fertility and for motherly relationships, which looks like what this artist has interpreted within this bas relief located on the Palais de Chaillot. But talking of the artist, Hubert Yencesse was born in Paris in 1900, yet entered the School of Fine Arts in Dijon, which is where his father taught and hence followed in his footsteps, yet he did not start exhibiting works until the Autumn Salon of 1921, going on to exhibit at another popular tourist attraction of the Petit Palais. You will also find that Hubert Yencesse worked under Aristide Maillol, and he also preferred working on the female figure, which is the theme you can see here in this bas relief, but he also went on to teach at the School of Fine Arts in Paris. eventually passing away in the same city in 1987.